Truth be told, I'd been intrigued by the idea of Blue Apron for quite a while. I mean, it seems SO fun, right? You pick out a meal and then these beautiful, fresh ingredients are shipped right to your door, complete with clear cooking instructions! I figured why not check it out and do an honest Blue Apron review? So here are my thoughts on whether or not Blue Apron meal delivery is worth your time (and money)! I’m not a huge fan of grocery shopping. Life is short, so the last place I want to spend it is wheeling around a broken cart with two begging kids who don’t want to be there either. More often than not, I find that grocery delivery (be it Peapod, Amazon Fresh, or another grocery service) can save me a bunch of time and thus, money. No, you don’t get the sales and coupons quite like you do in the grocery store, but for the savings in headaches and hassles, it’s not such a bad deal. So the thought of receiving a ready-made box of food WITH a meal plan included right there was definitely appealing to me. Plus, all the meals on the Blue Apron site look super yummy. There are so many great meals to choose from and you can pick from a myriad of different plans—vegetarian, pescatarian, and more—if that's your thing. I signed up for a trial of the Family Plan (feeds four) and thought I’d give it a whirl. I went in with high hopes. I figured it would arrive at my door and BAM I’d whip up a fancy gourmet dinner and have it on the table with just a little bit of effort. My family would be impressed! I’d be a kitchen hero! In reality, it didn’t work out quite like I thought. In fact, it was pretty much a disaster! 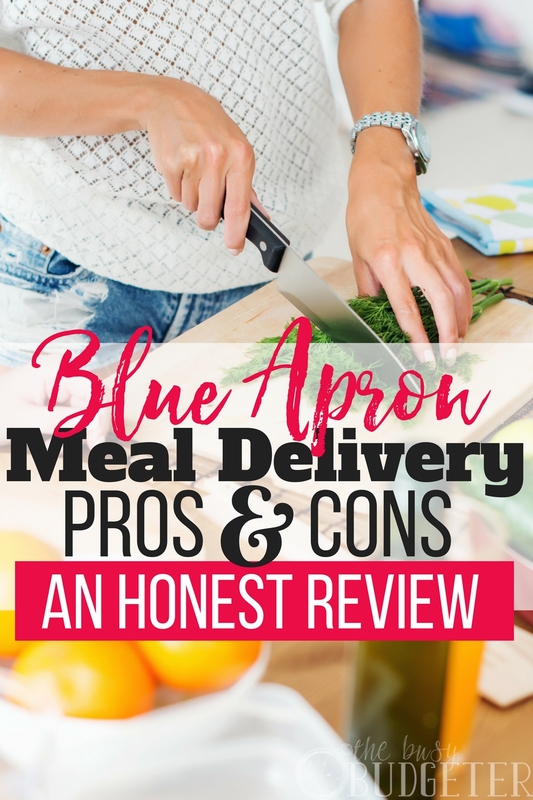 So here's my honest Blue Apron review, the pros, the cons, and what I'd suggest using instead! Now, I'll be honest—Blue Apron wasn't for me. It just plain didn't work for my family, but I suppose that's not tooootally Blue Apron’s fault. The recipe was pretty clear and easy enough to follow, but it took 45 minutes to make my meal. And this wasn’t just 45 minutes of light cooking, where I could do other things, either—this was 45 minutes of INVOLVED cooking, with two hungry, upset kids running around. Talk about stressful! Looking back on it and doing the math, between planning, ordering, un-packaging and prep, we’re looking at a full hour spent on cooking a single dinner. 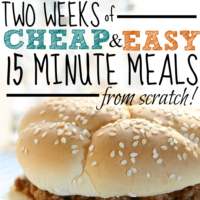 In our house of 15 minute meals, and freezer and dump dinners, this is UNHEARD OF. Had my family LOVED it, I guess it might have been worth it for a special occasion or a holiday meal or something like that, but here’s the deal, folks: my kids didn’t go for it AT ALL. In fact, after spending money on ordering, then spending 45 minutes intensely, stressfully cooking, my kids took barely a bite. Maybe we’re just not used to such “fancy” meals, but they weren’t having it. They prefer burgers, sandwiches, you know, easy and fun meals, like chili, pasta and foods they’re used to. They aren’t really picky, but this was very unfamiliar for them. Plus, I was frazzled, so they were frazzled, so we were all sort of sick of the situation by the time dinner got to the table. So Who is Blue Apron Good For? When my husband and I were first together, we used to have “cooking dates” where we’d go to the store, shop for inexpensive ingredients together, and then come home and cook our meal. It taught us a lot about how to communicate and how to tackle a project with each other, plus it was a really fun and cheap romantic date. In fact, I loved it! As I said, neither of us are big fans of the grocery store, so scheduling a cooking date night, where the ingredients were delivered and ready to go would get us to try new foods, ramp up our cooking skills, and really connect. If we were newlyweds, I think I’d feel differently about the whole experience. As a busy mom with two kids, Blue Apron just was NOT for me. I ended up feeling like we wasted food after I worked so hard to make it. It wasn’t as easy as I would've preferred or hoped, and it definitely wasn’t kid-friendly in preparation or in the final product. The meal purchase was a bit pricey but the ingredients were high quality, so the value might not be bad, if that matters most to you. For my time and effort, however, this was definitely NOT for me. The portions were small and we had to clean up the whole kitchen afterwards (ugh). There were a lot of dishes and it took extra steps to get everything ready. 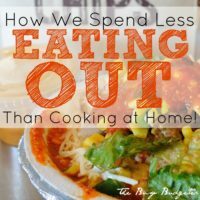 In the end, I found myself wondering why we didn’t just go to Chipotle and grab a big meal for the same price with no cooking or clean up! The kids would've been happier and I know I definitely would have been happier too. So the whole time I was making this meal, I just kept thinking that for the same amount of time (45 minutes to an hour), I could get 10 FreezEasy meals planned, prepped, and in the freezer. TEN! Then I would have had meals for two weeks with no more work, except popping something in the slow cooker or oven and setting the table. Easy-peasy! With FreezEasy, you don’t get the convenience of the delivery to your door, but even if you use a delivery service like Peapod, you’d still end up spending the same amount, and you'd get so much more out of the experience. For the amount of time and stress, it's really a much smarter way to go. The thing I love about FreezEasy too is how customizable it is, and what a simple planning tool it can be. If you’re new to meal planning but you love the idea of being able to pick from ingredients and create a variety of meals on hand, FreezEasy is great. I find that brainstorming/coming up with different meal ideas can be the most challenging part of “what’s for dinner.” Especially if you’ve got kids who have taste-preferences or even allergies. My kids aren’t the pickiest, but for your own kids, mom often knows best as far as what they'll eat and what will end up just getting tossed out. With FreezEasy, you can decide all of that beforehand, and get rid of anything your kids don’t love. You’re only buying what you need, so you don’t end up wasting food, time or money. In the end, my recommendation is to skip Blue Apron and go for FreezEasy instead. The difference in planning is pretty nominal considering the amount you save in preparation time and execution. 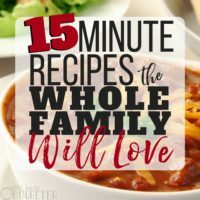 Even if it takes a little longer to come up with your shopping list off FreezEasy, it'll be nothing compared to that 45 minutes in the kitchen cooking with two kiddos screaming in the background. So if you're a newlywed or looking for a fun date night once a week and you want to try new foods, then a service like Blue Apron might be great for you. It's probably great for couples who like cooking together with quality ingredients. 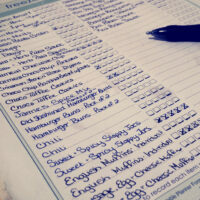 For the rest of us busy moms, I think I’ll stick with freezer meals and doing my own meal planning! Let me know what meal planning tools and pre-packaged meals have worked best for you. Have you tried any meal delivery services like Blue Apron? What did you like or dislike about them? I’m glad you posted this review. I had been hearing about Blue Apron on the radio and online, but I wasn’t convinced if the price was worth it. I think after reading this I will continue to hold off, at least for a while! Love the honesty! I’ve heard about it over and over and this convinced me not to try it. Thank you! I honestly wasn’t impressed with blue apron for the cost. Yes, the recipes and individually packaged items were nice, but I could spend the same amount of money at the grocery store and get more bang for my buck. I had been hearing about Blue Apron on the radio and online, but I wasn’t convinced if the price was worth it. Thanks for sharing, and I hope to learn from you more. Our family has enjoyed Blue Apron, but we prefer Green Chef as it usually takes less time to prep and they have more meal options. The major downside of Green Chef is the cost. We hace switched back and forth between the two and have a lot of different meals that we normally wouldn’t have tried. We typically get the meals for two and have enough food for the four of us. Since we don’t eat out it offers a great option for something different.